These self contained high specification units are ideal for a range of commercial uses. Occupying a prominent location the unit is less than one mile from Newry City Centre, and convenient to all main road routes. Finished to a high specification, the units include 3 Phase Electricity, Reception Area, Kitchen & Toilet Facilities, Oil Fired Central Heating and On Site Parking. UNIT 28C - Ground Floor. Circa 1,800 Sq. Ft. £8,000 per annum. 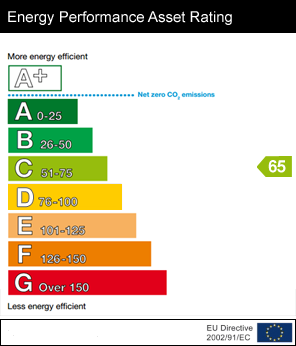 EPC C65. UNIT 28D - Ground Floor Circa 1,800 Sq. Ft. First Floor c. 1,776 Sq. Ft. Total c. 3,576 Sq. Ft. £12,500 per annum. EPC E109. UNIT 28E - First Floor Circa 1,880 Sq. Ft. Let. LEASE: By negotiation on a Full Repairing and Insuring Basis. NAV: To be Assessed. Tenants Responsibility. V.A.T: All prices, outgoings and rentals quoted are exclusive of but may be liable to V.A.T. I am interested in Ashtree Enterprise Park, Rathfriland Road, Newry. Please contact me about this property.